Hymenoptera, the bees, wasps and ants, are one of the largest insect orders, and have massive ecological importance as pollinators and as predators or parasitoids of other insects. These roles have brought them forcefully to human notice, as governors of some key ecological services that strongly influence human food supply. Recent declines of pollinators and introductions of alien pests or biological control agents are only part of the current concerns for conservation of Hymenoptera, and of the interactions in which they participate in almost all terrestrial ecosystems. Both pests and beneficial species abound within the order, sometimes closely related within the same families. Many taxa are both difficult to identify, and very poorly known. 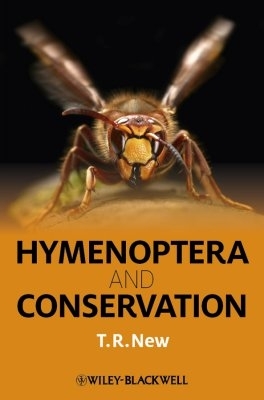 This global overview, the first such account for the whole of the Hymenoptera, discusses a broad range of themes to introduce the insects and their conservation roles and needs, and how their wellbeing may be approached. Hymenoptera and Conservation is intended as a source of information for research workers, students, conservation managers and naturalists as an introduction to the importance of this dominant insect order. 4 Introduced Bees: Threats or Benefits?